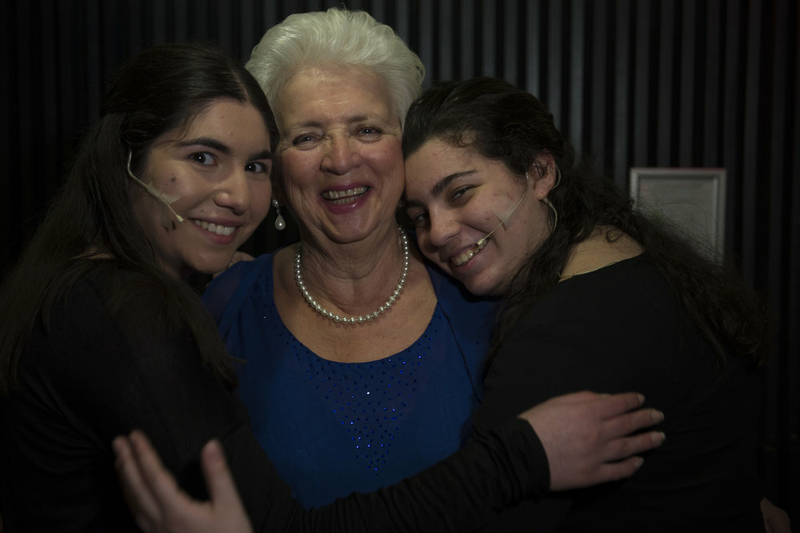 Witness Theater pairs high schoolers and Holocaust survivors together for a school year. These are the Yeshivah of Flatbush Joel Braverman High School Witness Theater participants for the 2016/2017 school year. Though Isaac’s parents were Polish, the family moved to Argentina to avoid his father’s conscription into the army during WWI. Consequently, Isaac was born and spent his early childhood in Buenos Aires. In 1929, Isaac’s parents moved the family back to Poland in order to be closer to their extended family. His older brother and several uncles remained in Argentina. During the war, he and his family were forced into the Czestochowa ghetto. His father was killed by the Gestapo, and his mother, sister and two young nieces were deported to Treblinka. Isaac and his future wife, Rosa, escaped deportation and remained in Czestochowa. They were both forced to work in a munitions factory there until their liberation on January 16, 1945. After the war, Isaac and Rosa located his brother in Argentina and moved there to be with him. In 1963, Isaac and Rosa, along with their two children Mauri and Betty, immigrated to the United States. They have two grandchildren, Marcele and Jesse, and a great grandson, Enyo. In his free time Isaac has a passion for creating stained glass art pieces. He considers every minute of his life an achievement. Isaac passed away on Yom Kippur, September 19, 2018. Claudine was born in Paris to a wealthy family, her father a successful businessman. She had an older brother, Roland and a younger sister, Simone. Shortly after the war began, Claudine’s mother committed suicide. 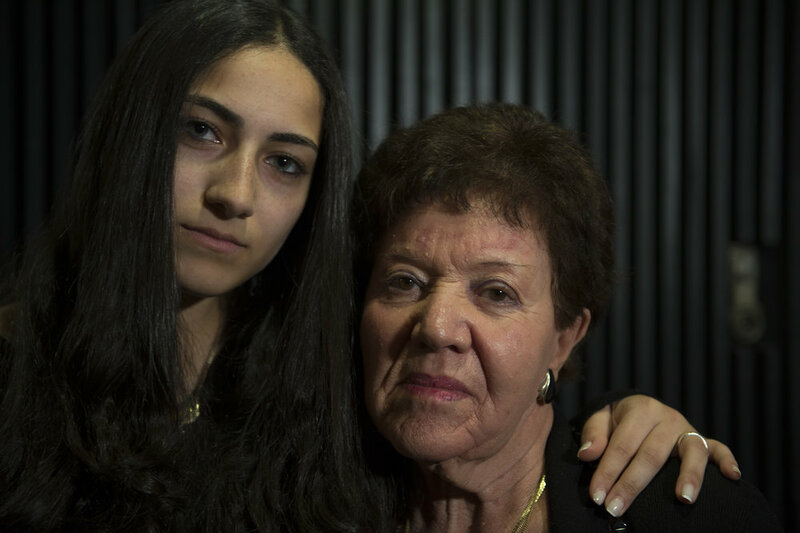 Claudine’s father and grandparents were arrested and deported to Auschwitz Concentration Camp where they were killed. Simone, Roland and Claudine were separated and taken in by different families, but when the family Claudine was staying with did not receive money for housing her, they threw her out. Claudine was left homeless and forced to wander the streets of the city, knocking on doors to find food and shelter. After the war in 1945 Claudine and her brother Roland reunited and shared an apartment. In 1947, she married her husband, Fernand Barbot and had three children: Rose, Martine and Gerard. In 1957 the family moved to America. Claudine has a passion for sewing and loves creating clothing for her family. Aron was an only child, born in a small town in Czechoslovakia in 1929. In April 1944, Aron was sent to the Munkacs Ghetto and then deported to Auschwitz Concentration Camp. As the Allied troops advanced, he and the other prisoners were forced to join a Death March that few survived. The march led them through Stamsreid, Germany, where they were liberated in April 1945. After the war, Aron made his way back to Czechoslovakia, but his father had not survived. His mother married a man who rejected Aron and would not allow him to stay. Aron spent several months in a Displaced Persons Camp in Cyprus before unsuccessfully attempting to evade the British blockade of Israel (Palestine) on the boat Hatikvah. The boat was apprehended and all passengers were sent back to Cyprus. Several months later, he was granted permission to immigrate to Israel. There, he met his wife, Cipora and worked as a police officer. In 1960, he and Cipora moved to the United States. Aron is now the president of his shul and is a loving father and grandfather. Cipora was only four and a half years old when word of the German’s approach reached her family in Brisk. Her mother, pregnant and fearing the worst, pleaded with her father to flee immediately. They fled to Kazakhstan where her father was conscripted into the Russian army. Cipora, her mother and her two younger siblings were given shelter by a gentile woman. Food was scarce and temperatures freezing, but they managed to survive there until the end of the war. After the war, Cipora’s family tried to return home to Brisk, but were met with hostility from their previous neighbors who threw rocks at them. They travelled to Germany where they lived in a Displaced Person’s[AH1] (DP) Camp for two years, after which they immigrated to Israel. There she met and married her husband, Aron. They moved to the United States in 1960 and Cipora managed a bakery business. Cipora has two children, five grandchildren, and 16 great- grandchildren, and loves to go dancing with her husband, Aron. Agnes was the middle child of five siblings, three girls and two boys. In 1944, with the German occupation of Hungary, Hungarian authorities arrested and took away her father and her beloved older brother. That was the last time she saw either of them. Soon after, Agnes and the rest of the family were loaded on trains and deported. Agnes and her two sisters were sent to Auschwitz Concentration Camp, where her younger sister perished. Agnes and her older sister, Ava, were then sent to several different camps including Bergen-Belsen, where they remained until liberation. Agnes credits Ava’s tremendous love, support and protection for her survival. After the war, while in Sweden, Ava died of an illness, which left Agnes the sole surviving member of her immediate family. She made her way to Israel, where she lived with her aunt and met and married her husband Avraham. She felt like her life started over again in Israel. The couple eventually immigrated to the United States. Agnes has two sons, five grandchildren, and five great-grandchildren. In the summer of 1941, in hopes of fleeing the Germans, seven year old Khana, her parents and her younger brother, Hirsch, packed up their belongings and left their home in Soroca, Romania. They arrived a few days later in a small town in the Ukraine only to be met with Nazi persecution there. Her father, along with all the other men in the town, was conscripted into the Russian army and killed in 1942. Khana, her brother and mother, were confined to the Ukranian ghetto, Luchinetz. They remained there, enduring terrible conditions, until 1944. After the war they returned to their home in Soroca. Despite hardship, Khana resumed her education and went on to become a teacher of Russian, French, and Russian literature. She flourished in her career, becoming a highly respected school principal, known for her sound and fair judgement. In 1980, Khana, along with her mother, brother, husband, and two children immigrated to the United States. Khana has maintained her passion for education throughout her life. When the war started, Elizaveta’s father was conscripted into the Ukrainian army. 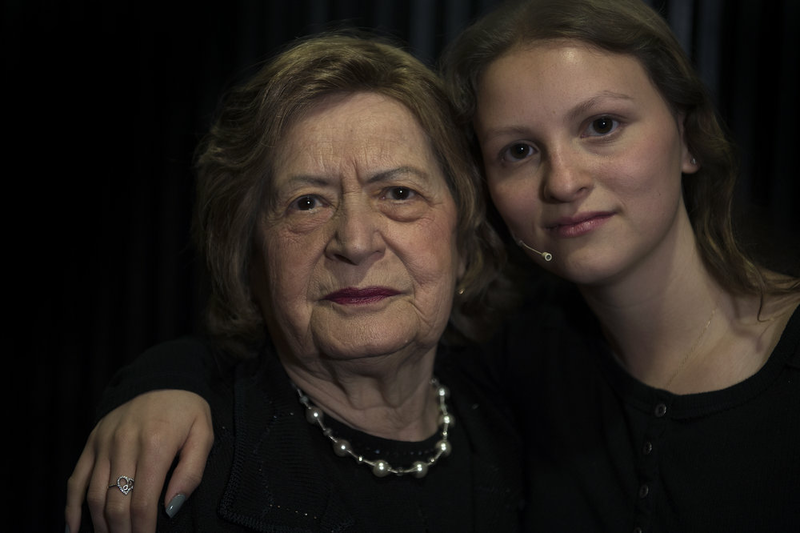 Elizeveta, her mother and brother fled Kiev, managing to board the last train to Ural, near Siberia and narrowly escaping the mass murder of Jews at Babi Yar. In Siberia, food was scarce but her mother did everything she could to provide for the family. When the war ended, they returned to returned Kiev and reunited with her father. , But life in Kiev was much harsher than before the war: they faced food shortages, strong anti-semitism and the constant, looming threat of the KGB. Finally in 1991, Elizeveta came with her family to America where she worked in a hospital nursing department. Her greatest accomplishments are her survival and her family. She has a son, three grandchildren and one great-granddaughter. Ernest was born in a small town in Czechoslovakia, the fifth of nine children. Ernest and his family experienced several years of increasing restrictions inflicted on them by the Nazis because they were Jewish. Their business was taken, they had to adhere to a curfew, and were forced to wear yellow arm bands identifying them as Jews. In 1941, Ernest, age 20, was taken from his family and sent to a forced labor camp. In 1942, his parents were deported to Auschwitz. From 1941 through 1944 Ernest was interned as a slave laborer in five different camps. In 1944, during the Slovak national uprising, he was liberated by Soviet partisans who were waging guerilla warfare against the Germans. Ernest joined with the group in their efforts until the end of the war. He was the only member of his family to survive. After liberation, Ernest moved to Israel and joined The Irgun, a Zionist paramilitary organization. There he met his wife, Eva. In 1955 they immigrated to the United States and settled in Brooklyn, where he made a career in manufacturing. The two were happily married for 68 years. Ernest has two daughters and four grandchildren. His close knit family is a source of great pride.